Humans are born copycats. How else would we learn how to smile, walk and talk, if we didn't watch and imitate the people around us? But copying is only the first step. Once we copy, then gain confidence and ability, we add our own personality to everything we do. The same is true of creating and art. Most of us begin our artistic journey learning the basics -- by rote, as they say of the ABCs. 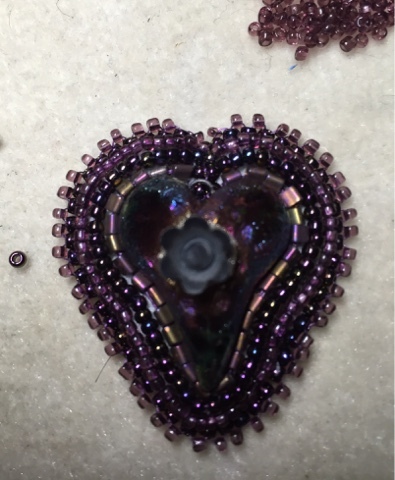 Then, once we have the basics down, we move on to embellishment and variations -- we put our own stamp on a pattern or technique by changing colour, material, size, etc. Artists all begin as copyists, and there's no shame in that. You learn and master all the techniques known to man then break the rules and create with abandon, interpreting subject matter through your own filter and using the toolbox of skills and materials of your choice. I started musing on this a few days ago and was asking myself whether being a copyist is a bad thing. I think I land on the side of No, it's not.There's great satisfaction in mastering a technique, perfecting it and making something beautiful and/or useful. I'd call the person who does this an artisan. But once a certain person has done this over and over and has mastered the technique, there is a spark in them, the creative spark, that takes them beyond copying and lifts their work into the realm of art. We see this over and over again. An artist will have been churning out landscapes or portraits but all of a sudden they apply the paint in a different way (think of the work by the Impressionists or Pointillists) and the way they interpret the world on canvas is changed forever. The nature of creativity and artistic genius has been debated for hundreds of years and will likely be debated until the end of time. I will try to explain where my creativity comes from but it's sometimes hard to pin down. 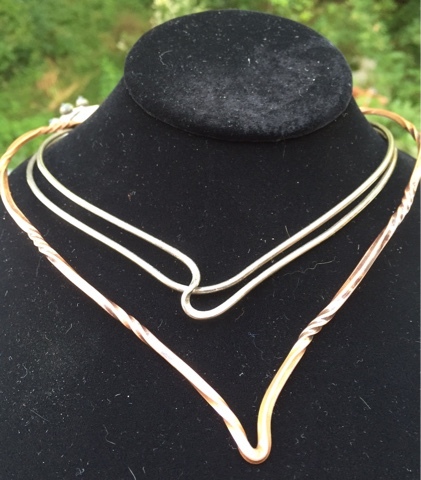 I might see a necklace in a magazine or a store and I find its shape or construction pleasing. So I'll pull out my notebook, make a quick sketch and then take a technique I've perfected and apply it to a modified version of that necklace. For instance, I saw a sterling silver necklace while on vacation in Mexico. I liked that it had no closure and framed my neck in a wave. I bought one and then one day decided to try something like it, but using the twisted forged bronze wire technique I'd been using to make bracelets. A new design was born! I would say that this kind of creativity flows from the inspiration of the material you have in front of you. For instance, I take vintage buttons, embroider around them and make pendants. 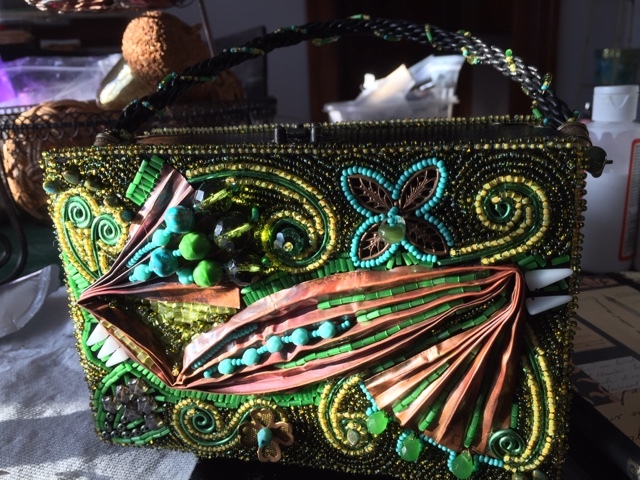 But each one is different and the embellishments that surround them are inspired by the button and also limited by the materials I have at hand. I also take inspiration from gorgeous raku like this piece from MakuStudio and let the beads lead me in the act of creation. I love metal and I love the look of shibori silk. So I decided to try foldforming a thin piece of copper to resemble the silk. Wow, was that a fun experiment. And why did I try this? I woke up in the middle of the night and I realized I had dreamed it. Where did that inspiration come from? This is Brenda Schweder's term for working on the Now That's a Jig! I love placing the pegs and coming up with patterns. 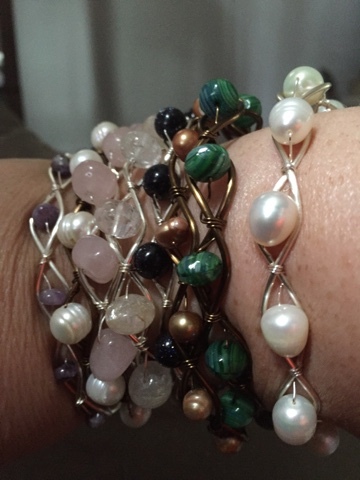 For instance, my Infinity Bracelet, which appeared in the Fall 2015 Wirework magazine, was doodled on the Jig to use/show off Unicorne teardrop beads to advantage. Meanwhile my Cathedral Windows necklace, which I'm teaching at Beadfx this month and which appeared in the June/July issue of Step by Step Wire Jewelry, was inspired by the windows of Notre Dame and was a "riff" on a bracelet pattern by Brenda. My innovation was graduating the sizes of rings. So whether you're a copyist and feel safe and satisfied in that activity, or you're an aspiring creator, I believe that the act of making is what makes us truly human, helps us make sense of our world, and offers playtime that can be meditative, fun and fulfilling. Happy making!